The media are home to an eclectic bunch of people. This book is about who they are, what they do, and what their work means to them. Based on interviews with media professionals in the United States, New Zealand, South Africa, and The Netherlands, and drawing from both scholarly and professional literatures in a wide variety of disciplines, it offers an account of what it is like to work in the media today. Media professionals face tough choices. Boundaries are drawn and erased: between commerce and creativity, between individualism and teamwork, between security and independence. Digital media supercharge these dilemmas, as industries merge and media converge, as audiences become co-creators of content online. The media industries are the pioneers of the digital age. This book is a critical primer on how media workers manage to survive, and is essential reading for anyone considering a career in the media, or who wishes to understand how the media are made. Mark Deuze is Assistant Professor of Telecommunications at Indiana University. 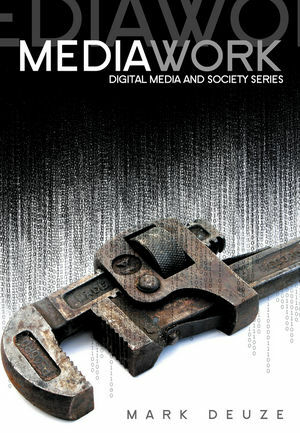 "A comprehensive account of what working in the media today entails ... Media Work is well researched and insightful. On the heels of the recent screenwriters' strike in the USA, it is relevant and specific to the creative industry but offers pertinent observations that are useful far beyond the field of media."